Delicate fish in a creamy tarragon sauce. You’ll never imagine what inspired this recipe. Recently someone brought fish chowder – good smelling fish chowder – to work for dinner. The smell wafted over to where I was and instantly I wanted some. I recently had made fish chowder which was fantastic (see Chowder) and it was a little too soon to make again. But I knew fish was on the menu, and probably haddock. A trip to the local grocery quickly changed my mind. There was no way I was going to pay the price they were asking for fresh haddock. Frozen just isn’t the same. When I was looking around for alternatives my eye wandered to the sole fillets. Sole is kind of odd as far as pricing goes. Sometimes fresh sole is pricey, other times it is not. Today it was not. I quickly gathered up three small packages and started thinking about what to make. 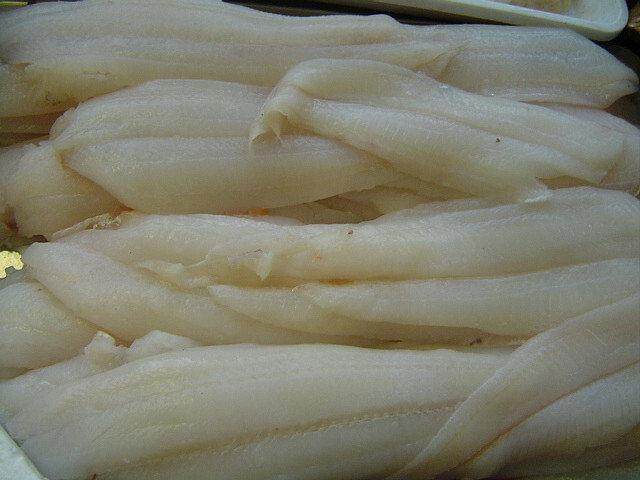 If you’ve never had it, sole is a very delicate fish. The flavour is not strong and the flesh is not firm. It’s certainly not made for a chunky chowder. You also really have to be careful not to overpower the taste of sole. I decided a good solution would be to fry it and make a tarragon cream sauce. 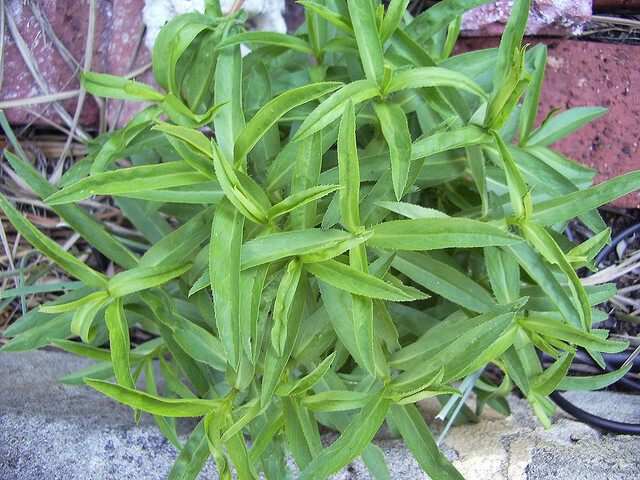 Tarragon has a gentle taste as far as fresh herbs are concerned, and it’s always a good partner with fish. 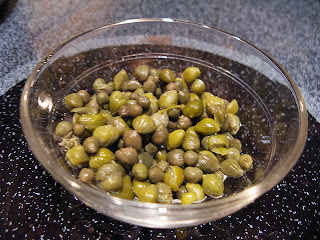 A little garlic and some capers add punch to the finished dish and can be adjusted to suit your individual taste. Growing your own herbs is a great boon to your cooking. Bring the 2 cups water to a boil in a small saucepan. Add the basmati, reduce heat and simmer until all the water is absorbed. This is usually between 12-15 minutes. let sit covered for 5 more minutes. Steam the beans in a little salted water for about 5 minutes until done but still crisp. While the rice is cooking, combine the flour, salt and half the pepper in a bag. Add the sole and shake gently to coat. Heat the oil and butter in a large sauté pan. 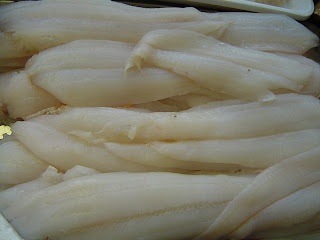 When hot, add the fillets and fry on both sids until just cooked through, about 3 minutes per side. Do not crowd the fillets. Do multiple batches if necessary. When done remove to a plate and keep warm in a very low oven. Add the garlic to the oil and butter remaining in the pan. Sauté for about 1 minute. Add the cream, remaining pepper and the tarragon. Cook on medium high until the cream reduces to a sauce. Taste and add salt if desired. Chop the capers. Plate the warm fish atop hot rice. 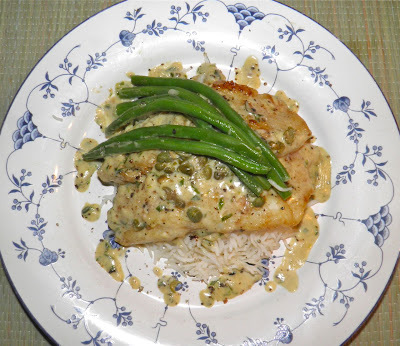 Spoon the sauce over the top and sprinkle with some capers.